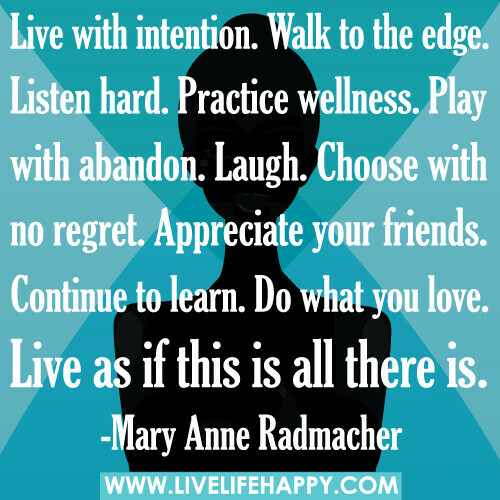 It’s Women With Intention Wednesday again… which means focusing on something INTENTIONALLY. This week, I’ve been working on purposely getting back on track with blogging. This includes writing and publishing the blog posts, obviously, but also interacting in Facebook blogging groups, visiting other blogs and commenting, making some slight changes in my blog themes and settings, and reviewing what’s involved in actually treating my blogging as a business instead of a hobby. I purposely participate and interact in Facebook blogging groups. I’m really enjoying it! They provide a sense of community, accountability, and networking to help with growing and promoting my blogs. Many of the groups also provide numerous resources and opportunities to learn more about the business of blogging, to take it beyond the hobby stage. I purposely choose to visit other blogs and to leave valid, relevant comments. I’ve bookmarked and followed many interesting blogs. I’ve also formed wonderful virtual relationships with some bloggers, especially in smaller mastermind groups. I purposely choose to make changes in my blog themes and settings (fonts, colors, spacing, and so on). I learn as I go and get feedback from others. Sometimes I agree and other times agree to disagree with feedback regarding potential changes I should or shouldn’t make. I was kind of stagnant for awhile and just used the standard themes and templates, but recently I’ve been experimenting with different themes and looks. I want to be proud of my blogs, but also appeal to the majority of you readers and followers of my blogs. This is a new area for me and I’m purposely choosing to become more informed about transitioning from hobby to business blogging. I’ve read income reports from bloggers in some of the groups. It amazes me that some folks are making hundreds and even thousands of dollars MONTHLY! I’m certainly not anywhere close to that potential. I’ve only just started adding some affiliate links and widgets to products and services I’m familiar with, so I can feel comfortable recommending them. I also purposely added widgets for my OWN business products as well (K-Lee’s Kreations). AND some new reasonably priced products coming in October! Do you actively blog? As a hobby or as a business? What have you done intentionally today? I really needed to read this. I haven’t been as consistent as I should be. I think October this should be my resolution, to figure out a plan and stick to it. This are great tips and guide you have here, through socializing with other bloggers and viewing/commenting their articles we learn something out of it. It’s very helpful for us to be feed psychologically if not out appetit on blogging will fade away. This is so wonderful and I really need to work on this this upcoming month! Thanks so much for sharing. I thank you for posting this as I needed. I know many people who have been blogging for years and don’t make a dime. But, anything is possible. I wish you lots of luck. I can relate ! I just started a new blog last week that has literally taken over my life since lol it’s time consuming ! But when you enjoy it time just Flies by! I had to tell myself after a while to just get back into blogging ? I ‘intentionally’ got up this morning to fit in a workout so i could try and hit my step goal today! I blog as a hobby but hoping I can make it more of a part time job! I spent yesterday planning content. I’ve read and heard from several of the most (verifiably) financially successful bloggers that it’s 80% promotion and 20% time invested in content. I blog to make money, but also because I love writing and sharing my thoughts. It’s really hard for me to do 80/20 the way I should… For me I do 80% content and maybe 20% promotion! I definitely needed to read this post today. I will graduate from college this December, and I have been feeling motivated, but unenthusiastic about finishing with high grades across the bar. The work is long, boring, and tiring, but I need to PURPOSELY go about getting it done. I should PURPOSELY work on my blog, and get it to the place that I want it to be. I should PURPOSELY be enjoying my life in my early twenties before even more of the real world smack me in the face. Thanks for this post. I Need to read this post. I have been blogging or hqappy for a couple of years now but I want my blog to start making money for me. I have been feeling really overwhelmed with how to do this while still coming up with content and promoting it. Nice to know i am not alone. You provided some really great tips. When I first started my blog it was more so as a hobby. Now item still doing what I love. However, as a business. I do actively blog, but it’s more of a hobby than business. There’s so much pressure to monetize everything. ? When I started my blog it was a somewhat hobby for me but now its more of a business that I can make money off of. 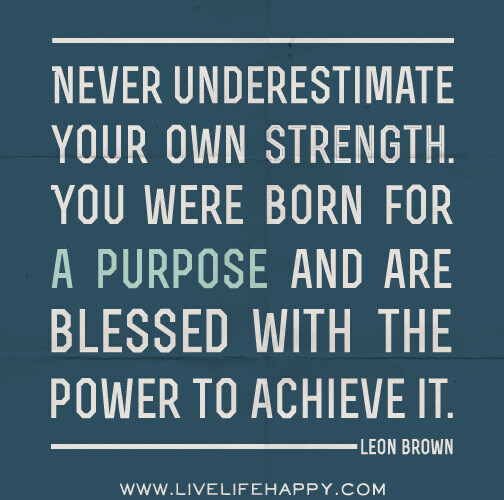 Wow I just love those words from Leon Brown! I love this notion of our intentions and how we go about accomplishing our goals. Love this post. For me? I would say, it’s kinda’ hobby, but wanting to step it up as a business (someday). But even the “hobby” part, I can’t even fulfill it. So I need to write more, and share it more. I also want to make virtual socialization here in blogging but I just dunno how to start. I need to start looking for this so-called tribe.